Each of these words has the power to strike fear in the hearts of many HR pros, because let’s face it–most of us didn’t get into this profession because we’re awesome at math, right? :-) Seriously though, we can’t deny the power of data and evidence to prove the value HR can provide. I’ve often said that HR provides plenty of value to the organization in most cases, but HR pros are just really terrible about calculating and proving that value. If that concept resonates with you, then this episode is going to help change all of that. In this new episode of We’re Only Human with Mary Ila Ward, owner of Horizon Point Consulting, Ben discusses some of the underlying fears that HR has about being measured (hint: measurement isn’t always an indicator of your own personal performance). In addition, we explore three case study examples of how to figure out the ROI of human resources in an easy, step-by-step manner so anyone can grasp the concept. By the way, if you’re interested in grabbing the slides we mention in the show, feel free to reach out to Mary Ila at miw@horizonpointconsulting.com and she’d be happy to share them with you. As always, if you’re new or want to revisit some of our previous episodes, be sure to check out the We’re Only Human show archives. This entry was posted in General, Podcast and tagged Data, Metrics, ROI, We're Only Human on July 24, 2017 by Ben. We hear success stories and try to mimic what other companies do. For the last ten years I’ve heard more “we want a culture like Zappos” stories than anything else, even if that request has taken a dip in recent years. The problem is people aren’t willing to put their money on the line to make it happen. We find a cool trend and jump on it, hoping for some mythical results. This always reminds me of the goofy “Google interview questions” like how many manhole covers in a city or how many elephants fit in an refrigerator. The questions didn’t predict success on the job, and Google ultimately moved away from them as a selection tool (thank goodness). We get word about some new “best practice” through the news, and everyone wants to try it out. This is where I put unlimited paid time off. It’s a hot topic, but there isn’t anything to show how it really helps to improve the workplace other than anecdotal evidence here or there. A few years ago, someone presented locally on HR metrics. The speaker prescribed specific metrics to everyone in the room, telling them that they needed to be capturing data because these were the “most important” measures. The problem? Some attendees were from staffing firms, others were in manufacturing, and still others were in professional services organizations. The truth is there is no “right” number of metrics, especially for such a diverse group. I haven’t forgotten that kind of peanut-butter-spread approach to advice on measurement, and that’s one reason I am going to be working to fix that this year with some of my speaking opportunities. This week I’m delivering a workshop to an audience of HR leaders around two key topics: measurement and change. As I’ve been creating the slides and activities, one of the messages I’m striving to get across is that we need to be more of an evidence-based practice. That term goes back to roots in the healthcare community, as evidence-based medicine. The purpose is finding a course of action that is based not on gut instinct or hopeful results, but on some sound and proven science. Imagine going to the doctor with an illness and getting five different recommendations for cures. You’d be a bit annoyed and unsure about how to proceed, right? But this is what we see daily in the HR profession. If you bring up a problem for discussion, you’ll get those same five different cure ideas from your peers, often based on a personal experience, a story of a friend, or something similar. Don’t worry, I’ve been guilty of this as well. But this year I’m really focusing on being more intentional about my recommendations. I’m going to be focusing more on finding and uncovering evidence to support my approach. 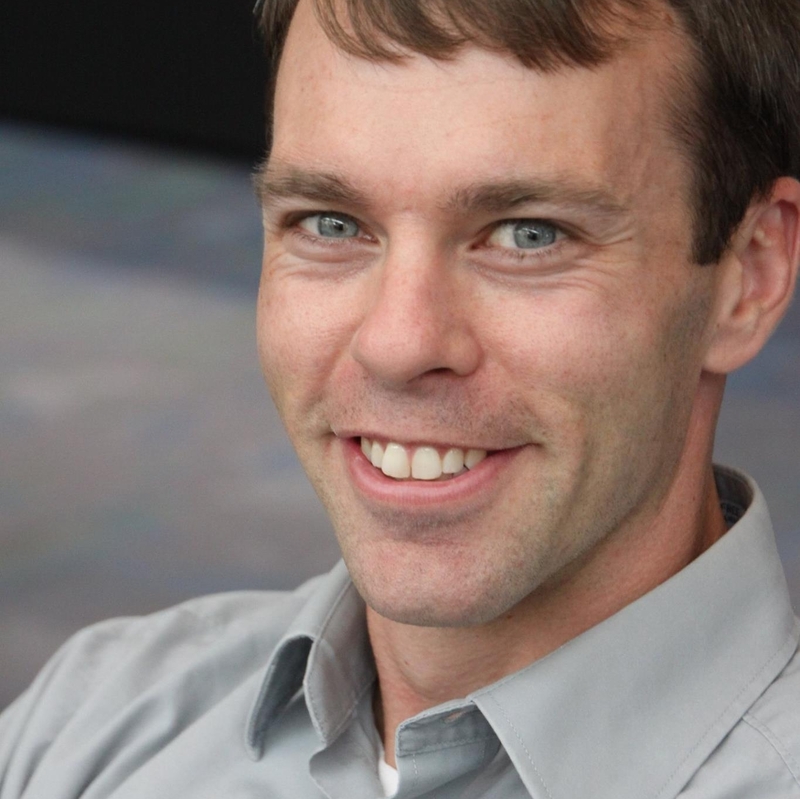 I’m actually going to be interviewing an author soon for the podcast on science-based principles of selling as a way to explore how to influence others. The two topics are connected, because he went through the same thing within the selling profession, taking advice of numerous “gurus” or basing practices on personal experience instead of an approach proven by science. I’ll leave you with this: by the time something becomes a “best practice,” the companies that used it often have moved to something else. The Google interview questions I mentioned above are just one example. One of the challenges of being an early adopter is that I see all of the newest and “best” talent and learning practices. I hear about what’s hot and what’s not. But the thing that never goes out of style is gathering data, making a decision based on that information, and then collecting feedback on results to adjust your direction or stay the course in the future. Create your own book of best practices that fit your organization and its people. That’s the only set of practices that really matter. This entry was posted in General and tagged Best Practices, Data, Evidence-Based HR, Metrics, Scientific Method, Speaking on March 6, 2017 by Ben. When I am teaching a class to prepare students for the PHR/SPHR exams, one of the things I repeatedly highlight is the need to tie HR practices back to business objectives. If we only see ourselves and our actions within the “bubble” of HR, then we severely limit the impact and value we can deliver to the business. One method for bringing the value to the business is by evaluating the financial cost and determining the return or value of a specific program. I know, I know, this involves people, which makes it notoriously difficult to measure. But you don’t have to get crazy about it. There are ways to pull it off. I have a friend that works for a company that does satellite mapping. One of the company’s ongoing projects involves supporting large retailers. The satellites take periodic photos of the retailers’ parking lots, and the extent to which the lots are filled with vehicles is used to predict sales for the quarter. However, the ability to determine a full ROI requires thinking outside the box a bit. We need to be able to take a big picture view so that we can truly evaluate the impacts on the business. In talking with HR leaders at organizations both large and small, the best way to explain this is through a good use case. I read about the example below from Patagonia and knew I needed to share it here. Check out the data below, emphasis mine on the key data point. Because child care benefits are an important recruitment and retention driver for working parents, one-quarter of organizations (26%) allowed employees to bring their children to work in a child care emergency. Although this benefit has remained consistent since 2013, it decreased significantly from 32% in 2012. On the other hand, there has been an increase over the past year in the percentage of organizations offering a child care referral service, from 9% to 16%, and 2% allowed parents to bring their babies under the age of 1 to work on a regular basis. The above-mentioned benefits, which help the employee at a minimal cost to the organization, were more commonly offered than costlier benefits such as access to backup child care services (3%), subsidized child care program (4%) and nonsubsidized child care center (3%). The least common child care benefits are becoming even scarcer. The prevalence of subsidized child care centers (2%) decreased from 4% in 2012 and 9% in 1996, and consortium child care centers went from 1% in 2012 to just a fraction of a percent. The use of company child care centers is dropping. I believe this is due in part to the difficulty of showing an ROI on these programs. In many cases, HR leaders are not trained or equipped to prove the value of certain benefits, like these, and they go on the chopping block any time there are budgetary constraints that affect the offerings companies can deliver. Bucking the trend, Patagonia is not only providing on-site child care, but it plans to expand the coverage to even more employees in the coming year. To support our families, Patagonia provides company-paid health care and sick time for all employees; paid maternity and paternity leave; access to on-site child care for employees at our headquarters in Ventura, California, and at our Reno, Nevada, distribution center; and financial support to those who need it, among other benefits. In particular, offering on-site child care, we believe, is the right thing to do for employees, working parents, and the life of the workplace. However, a reasonable businessperson might ask, “What does it cost?” It’s expensive if you offer high-quality care and subsidize your employees’ tuition—but not as expensive as you’d think. But that just takes hard costs into consideration, not even bothering with any other elements that might be possible to tie in. And it might be undershooting the mark in terms of overall returns. We’re not alone. JPMorgan Chase Bank, N.A., has estimated returns of 115% for its child-care program; global business consultant KPMG found that its clients earned a return on investment (ROI) of 125%. There were two statistics from the conversation that I particularly liked, because they help to illustrate the true value of this kind of program. 1. For the past five years, Patagonia has seen 100% of moms return to work after maternity leave. This is incredibly rare. I don’t have any stats to back it up, but I’d say a sizable portion of the “new mom” segment is still choosing to stay home with the baby instead of going back to work. Companies lose a lot of great talent by not having policies and philosophies that support this critical segment of the population. 2. For the past five years, turnover among Patagonia employees who use its child care program is 25% lower than in its overall workforce. This was wrapped into the “retention” calculations above, but it’s still a great reminder. When HR pros look at turnover data, it’s often cut by tenure, job, manager, and other similar factors. What about looking at it by benefits, as Patagonia has done? By seeing the impact of this kind of program on the bottom line in terms of employee retention, it becomes an even more valuable asset to the company for recruiting and ongoing engagement. Statistically only two of you reading this out of every hundred people are actually going to be working at a company with on-site childcare, so that’s a narrow conversation. But I want you to think about how Patagonia is able to tie the value of its program back to various pieces of the business–you can do this with your own leave programs, benefits, perks, etc. Break out the spreadsheet. Dig into the data. Prove the value. Does your company have a benefit that is special to the employees? Do you know what impact, if any, it has on the employee population or the bottom line? This entry was posted in General and tagged Benefits, Case Study, Data, Metrics, ROI on August 22, 2016 by Ben. If you’re interested in additional insights on measuring talent acquisition success, be sure to sign up here to get a free copy of the upcoming report I’m working on. What if you had a way to not only see what sources your candidates were coming from, but which ones delivered you the best people that you ended up hiring? This isn’t just possible–it should be a regular activity you perform as an HR/recruiting leader so that you can validate your hiring efforts and expenditures. For instance, what if that job ad you post with every opening sends you a lot of traffic, but nobody actually applies? Or what if your job ads net you a lot of low quality applicants but never anyone that you actually hire? Recently I was talking with a client about their recruiting practices. While they have things like salary negotiation and first year retention down as far as recruiting goes, they are having some challenges on the technology side. They currently spend a healthy chunk of money every month sponsoring job ads to reach candidates. I am working with them to put a new applicant tracking system in place to allow candidates to apply online and be reviewed by hiring managers. Best of all, there are EEO reports and applicant flow logs they can run to be compliant with the OFCCP regulations. Win, win, win, right? The challenge comes with their limited budget. If they are spending the money on a recruiting system, then there is less to spend on the sponsored job posts. The problem immediately arose that there were fewer candidates flowing into the system than were found previously with the sponsored advertisements. Hiring managers were a bit unsettled, and the HR team felt like it had to continue spending on ads even though they were also committed to paying for a new applicant tracking system. My recommendation to them? Look at your source of hire data to see where your best candidates are coming from. The process for determining source of hire is not challenging if you’re not hiring many people. If you are hiring a lot of people on a regular basis, then hopefully you have a system in place to at least track where they are coming from. 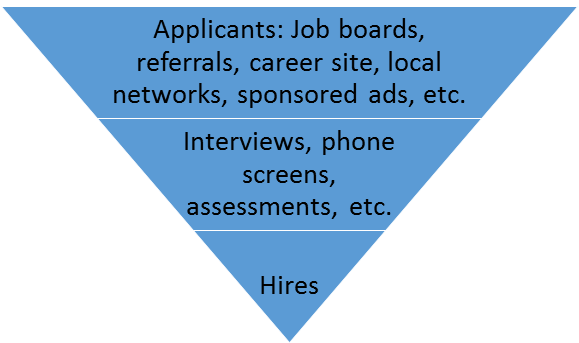 Here is the simple process for determining source of hire. Once you have this data, it’s time to do a bit of analysis. Where are you finding your best candidates most often? What source is driving the most hires? At this point you should be able to see where I’m going with this. By looking at where the candidates are coming from before they ultimately become hires, you are ensuring that your spending is in line with your results. This ensures you aren’t spending money on resources and advertising channels that aren’t actually performing. Consider this example of a marketing professional trying to gain exposure for her business. She puts $2000 into radio advertising, $2000 into online ads, and $2000 into TV ads. The TV ads bring her 100 leads and 10 of them become customers. The online ads bring her 1000 leads and 90 of them become customers. The radio ads bring her 50 leads and 2 become customers. Which source was the most effective? If we look purely at conversion rates, the TV ads converted 10% and the other two channels were lower. However, the online ads brought a higher volume and still had a pretty good conversion rate. The radio option was the weakest performing in terms of quantity and quality. Going forward, the marketing pro would use a mix of online and TV ads to continue bringing customers to her business. We can also use the dollars spent to show an ROI. On average, the TV ad customers cost $200 to acquire. That’s valuable information to have, because it tells you how much you have to make on a customer to achieve a breakeven point and start making a profit. The sponsored job ads brought you 500 candidates and 10 of them were hired. The job board posts brought you 600 candidates and 5 of them were hired. The employee referral program brought you 10 candidates and 7 of them were hired. So, what should you continue spending money on, and what should you scale back? Let’s break it down. Clearly the employee referrals were the winner, but as with life, this isn’t a clear cut answer. While it might make sense to spend more money on employee referrals to drive more leads, it also is a somewhat finite resource, which makes it important to evaluate other sources and continuously try to see what is bringing you the best return. Maybe you tweak your job ads with some split testing and find out that you’re able to triple your conversion rate by linking to some employee testimonials or your salary/hiring data on employee review sites. One final reminder: this might not be the same for all of your jobs or job classes. You may find that for technical/engineering jobs, the best source is a third party recruiter or LinkedIn sponsored content. You may see that admin roles are best filled by job board postings or referrals. That’s why in the first step I had you break down the last set of jobs filled because it’s a good chance that there is a cross section there representative of your organization’s overall hiring efforts. Once you have your top sources of hire identified, you can move on to things like the candidate experience and recruiting like a marketer to improve your overall results. I recommend a regularly scheduled analysis of your recruiting performance from a source of hire perspective as a way to determine the best sources for finding the right candidates for your organization. Reminder: be sure to sign up here to get a free copy of the upcoming report I’m working on around measuring recruiting efforts. What sources consistently bring you the best candidates and hires? How do you know? This entry was posted in General and tagged Data, Recruiting on August 1, 2016 by Ben. One of the challenges for HR pros is not necessarily gathering data. We’re pretty good at that, since we have access to recruiting, benefits, and a host of other business practices. The hardest thing many people have trouble with is actually in the delivery. How can I share this data so others understand? What can I do to get people to pay attention to this critical business area? Why doesn’t this data get the same treatment as that coming from finance or marketing? Today I’m going to share a short video with you that is going to change how you share data internally. It involves you crafting a story around the information to make it compelling. In the video I talk about a friend who, years ago, was writing some of the greatest content I had ever seen. I asked him why he was not using some of the concepts to make it more Google-friendly so that other people could find the content, and he protested that he was not simply “writing for Google’s sake.” I asked if he thought his content was helping people, and he agreed that it was. So I simply told him that if he wanted to reach more people and help more people, he could add in some small tweaks to his work to help the search engines pick up his content and deliver even more people to his site. Ultimately he would be helping many more individuals that way. This is the same concept. If you can wrap your data and information in a story, you are going to reach and help more people. Enough talk, here’s the video. Do you tell stories when it comes to sharing data or interacting with others? Would you be interested in learning how to create stories that engage and educate others? This entry was posted in General and tagged Data, Storytelling, Video on April 4, 2016 by Ben.